Image of the Axial-mode helix with tapered ends on a conical ground plane. 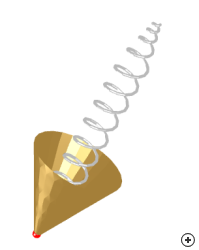 This helix antenna consists of a linearly tapered bottom section, a uniform middle section and a linearly tapered top section, mounted on a conical ground plane. 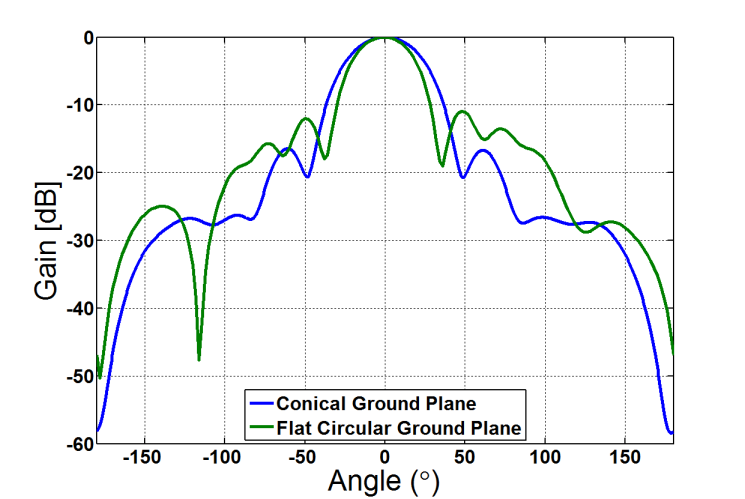 A comparison of the gain versus angle response highlights the advantage of using a conical groundplane to suppress sidelobes. 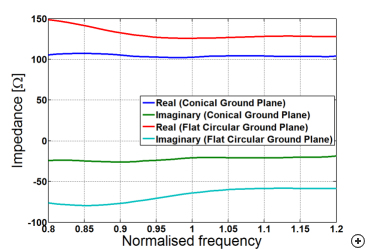 The impedance versus frequency response illustrates that the input resistance of the antenna using the conical groundplane is reduced and essentially constant over the band. 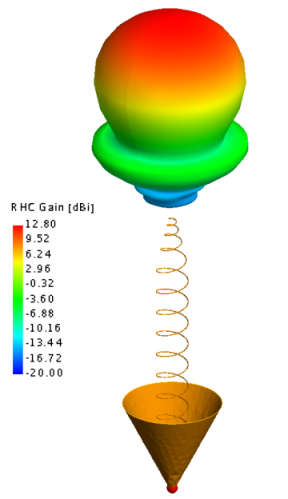 The conical groundplane also reduces the negative reactance of the antenna. 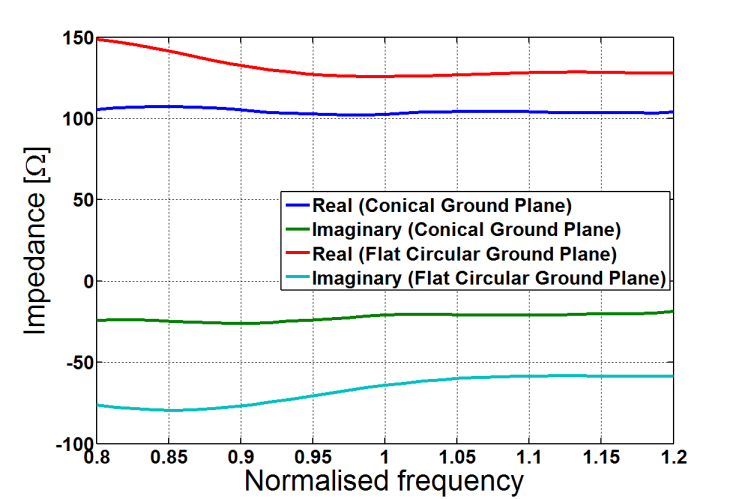 D. J. Angelakos and D. Kajfez, “Modifications on the axial-mode helical antenna”, Proceedings of the IEEE, vol. 55, no. 4, pp. 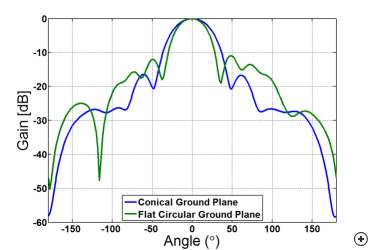 558–559, Apr. 1967.